Last month, I posted an in depth article about Concealer 101: The Different Types of Concealer. It has all that you need to know about the many different types of concealers and some recommendations of my favorites ones. I did talk about color correcting concealer a little bit in that post, but I think it deserves its own post because many women are confused on how to use then and which color to choose. 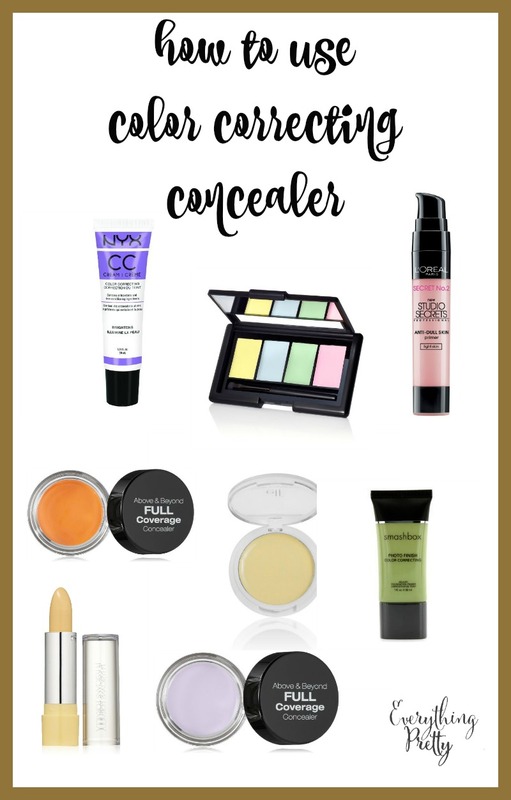 Keep reading for how to use color correcting concealer and my top picks for the best ones. Before we start talking about how to use color correcting concealer, let's get back to basics. Remember the color wheel from your elementary school days? The same principle applies to makeup. See, makeup really is a type of art! 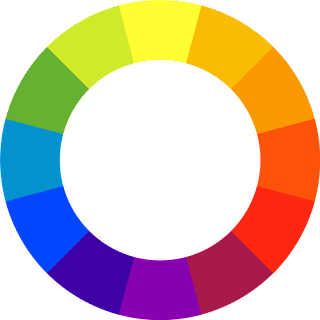 On the color wheel, colors that are opposite of each other are complimentary colors. If you combine them, they make a brownish color because they neutralized each other. When you're applying makeup, using a complimentary color will neutralize the blemish or mark that you're trying to cover, which makes it easier to hide. Green is directly across the color wheel from red, so green is used to cover red blemishes, like pimples. If you have rosacea or widespread areas of redness on your face, a green concealer can help reduce redness. For smaller areas or spots, use a concentrated green concealer like NYX Concealer Jar to dab on the area before covering with your usual concealer. For larger areas of redness, use a green tinted primer before using foundation. These formulas are lighter so your makeup looks more natural, but they do a good job of correcting all over redness. One to try is Smashbox Photo Finish Color Correcting Concealer. This color family brightens your skin, so it's best used under your eyes. 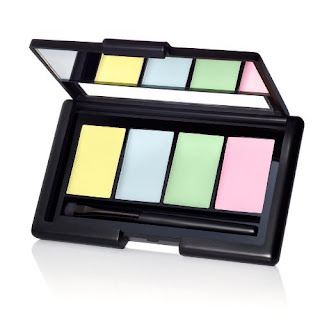 Since it's made from pink and yellow tones, it works best on purplish hues like under eye circles. It can also make olive skin look more radiant. For all over brightening, use a pink or salmon primer like L'Oreal Paris Studio Secrets Color Correcting Anti-Dull Skin Primer. 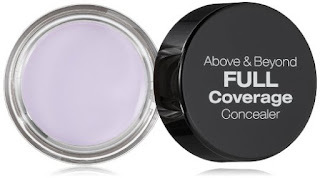 Purple concealer is used to hide blemishes with a yellow undertone, and it can brighten a dull, yellow complexion. As with the salmon concealer, it comes in a spot concealer and all over primer. I recommend the NYX Concealer Jar in Lavender. For all over brightening, NYX CC Cream in Lavender is a great product. As you might imagine, if purple is used to correct yellow, then yellow is used to correct purple hues. This works great on bruises--including a hicky--under eye circles, and veins. 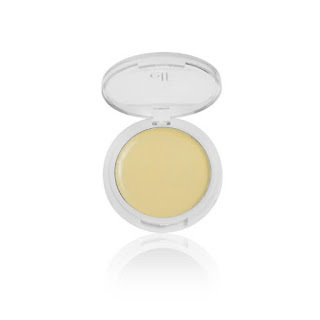 For under eye circles and small areas, try the Physician's Formula Gentle Cover Concealer Stick. For a lighter coverage or all over coverage, try the e.l.f. Cover Everything Concealer in Correcting Yellow. White color correcting concealer is used to highlight parts of your face, but be careful you don't use too much or you'll like a zombie. You can use it on your upper cheek bones to highlight. It also looks good on the inner corner of your eyes or under your brow line. You can also use it in a line from your forehead, down your nose, to your cupid's bow to highlight your face. 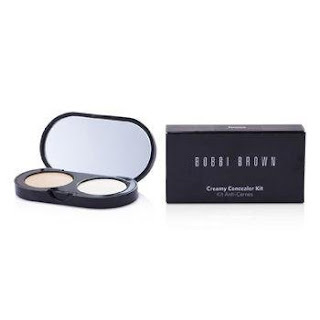 One to try is Bobbi Brown Creamy Concealer Kit. 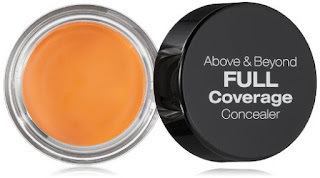 Orange concealer is used on lighter skin tones for contouring. Women with darker skin tones can use orange concealer to hide under eye circles and other blemishes. Both can be achieved with the NYX Concealer Jar in Orange. If you use color correcting concealer often, there are several palettes available with multiple shades. The e.l.f. Corrective Concealer Palette is very popular because it's inexpensive and works well.